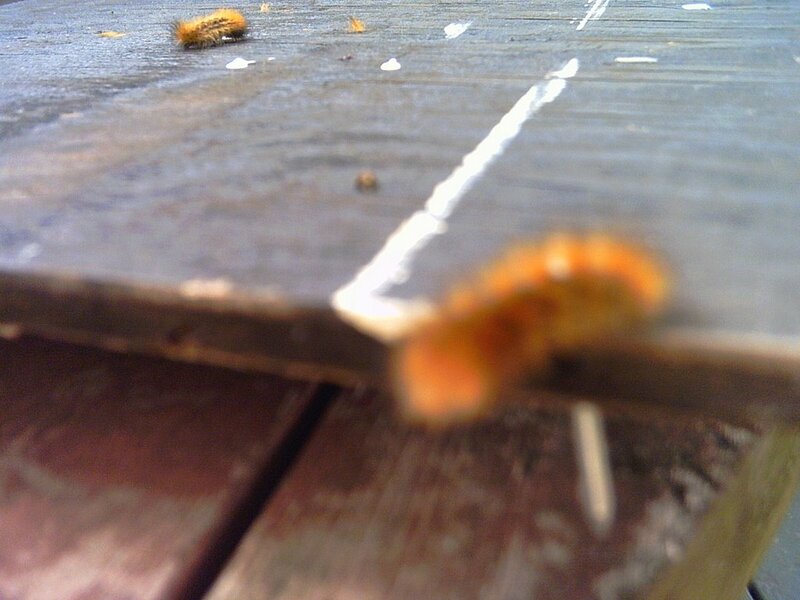 According to this wooly worm, it will be a mild winter. Most of the wooly worms I have seen this year are pretty light. I did have another one to photograph with this one, but I accidentally killed it. Now I notice it's there in the background. I had no idea they were so delicate (sobbing). As long as wooly worms have been used by us country folk, they have rarely been wrong in forcasting the severity of winters. The darker the wooly worm, the colder the winter will be.